With the Tokyo Motor Show now only a week away, Japanese car manufacturers are tripping over themselves to tease what we can expect to see at the show. Not a day goes by without a new Tokyo Motor Show concept car teaser. Toyota has already previewed a plethora of concept cars heading to the show, but this latest teaser comes from Nissan. So far, rumors suggest that Nissan could reveal a concept car previewing the , as well as a . Now, Nissan has released a mysterious teaser of what appears to be an electric crossover concept. Details are being kept under wraps for now, but Nissan says the new concept “embodies the future of Nissan Intelligent Mobility.” A teaser video shows the concept’s sleek silhouette, featuring a sloping roof, short hood, and a near-vertical front fascia. A brief shot in the video also shows a sign that says "autonomous drive recommended," implying that the crossover concept will feature autonomous driving technology. As much as Nissan is trying to make the concept seem mysterious, there’s a strong chance that what we’re looking at here is Nissan’s . 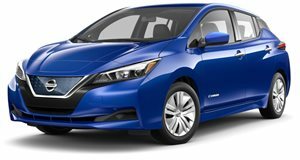 The , which significantly undercuts the price of the Model 3, is just the start of Nissan’s assault on Tesla as it plans to expand its EV family and make electric cars more affordable. A hot hatch performance variant of the new Leaf has already been previewed with the . Rumors have suggested Nissan’s electric SUV won’t share the Leaf’s name but will be based on the same platform and is said to be slightly larger than the Nissan Qashqai. It will reportedly go on sale in 2019 to rival the Volkswagen ID Crozz. The EV segment has been crying out for an affordable SUV with a long range, so Nissan could fill the void.